The South West now has its first truly specialised set of barristers chambers – Commercial Chambers! 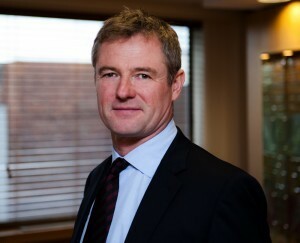 Commercial Chambers was established earlier this year by Andrew Marsden. He was a former solicitor with Freshfields and for the last 20 years has been a specialist corporate and commercial barrister. He is ranked in Chambers 100 as one of the top barristers in the country which marks him out as one of the very best in his field. Andrew explains that: “what Commercial Chambers offers is genuinely specialist and expert advice on company, partnership, agency and contractual matters at reasonable and transparent cost”. Commercial Chambers offers this through a somewhat different model to that traditionally adopted by barristers. It is thoroughly modern in its approach. It has done away with the old clerking system and gives its clients and their solicitors immediate and direct access to their barrister. It has dispensed with expensive, under utilised office premises and replaced them with a highly efficient centre of operations conveniently located immediately adjacent to the Bristol Civil Justice Centre. There you will find smart meeting rooms serviced by cutting edge technology, extensive web based library resources and a full range of communication facilities. The result is a very lean and green operation. Gone is the waste of paper that has been a hallmark of legal services for so long. Staffing, premises and overhead costs have been cut dramatically. In has come efficiency, rationalisation and organisation. “What our clients want is the very best specialist advice provided in an efficient and practical way and at a sensible and transparent cost – that is exactly what Commercial Chambers provides”. “Fast, straightforward and commercially minded advice is central to our service. Reacting fast to meet our clients’ requirements and expectations are our watch words”. Commercial Chambers welcomes instructions direct from clients and solicitors alike. Indeed, it will be one of the first chambers to offer the full range of services in the conduct of litigation. Fees are charged at a rate of £250 (ex vat) per hour or on an agreed fixed fee basis. There are no “extras”. Advice is provided in person, whether in Bristol or elsewhere to suit you, over the phone, via video link or in writing. You can contact Commercial Chambers on 0117 925 8978, via www.commercialchambers.org or just drop in.